Join over 1.4 million Torontonians who ride bicycles because it's convenient, healthy, inexpensive, and fun. This handbook will teach you about your bicycle, our traffic laws, and safe cycling habits. When riding your bike in Toronto, always remember to use your best judgement, take your time, and to have fun! The Toronto Cyclist Handbook is available in 13 languages, including English. How do I get a Toronto Cyclists Handbook? Cycle Toronto (192 Spadina Ave, Suite 215 - Spadina Ave and Sullivan St) Please call or e-mail to set up a time to visit. Download the English Toronto Cyclist Handbook here. The Toronto Cyclist Handbook was created in partnership with CultureLink Settlement and Community Services. Funding and support provided in part by the Government of Ontario, Live Green Toronto, and the City of Toronto. 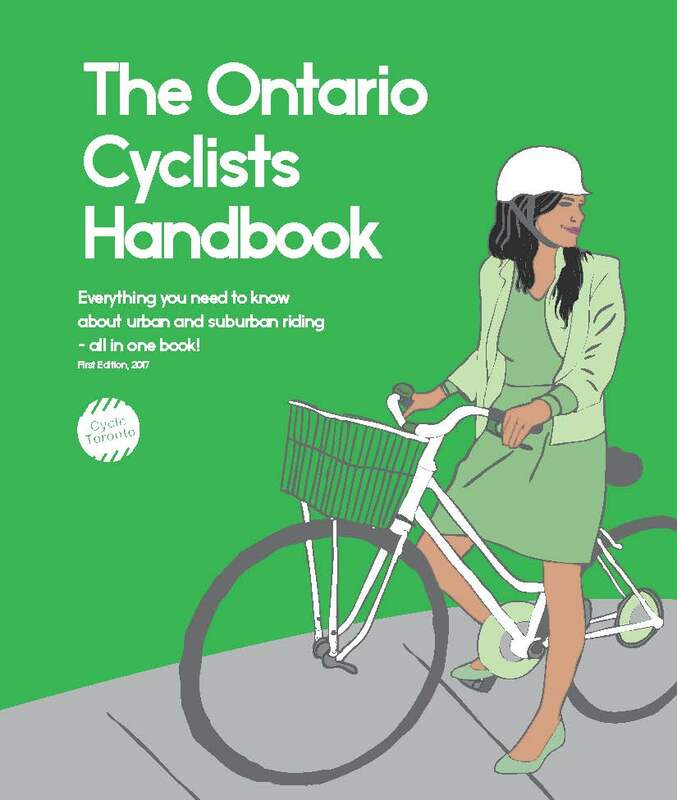 To address the growing demand for this resource, we also produce an Ontario Cyclists Handbook. To purchase an order for your municipality, please inquire for details at info [at] cycleto.ca.